The Newport Marriot Hotel located in the heart of historic downtown Newport recently completed the full hotel renovation that began in 2015. This project was inspired by the nautical calmness of life at sea, the unrushed slack of a mainsail and the mariner’s rebellious nature. Our concept was achieved by playing with the contrast of the dynamic nature of the common areas and the unequivocal serenity of the guestrooms. 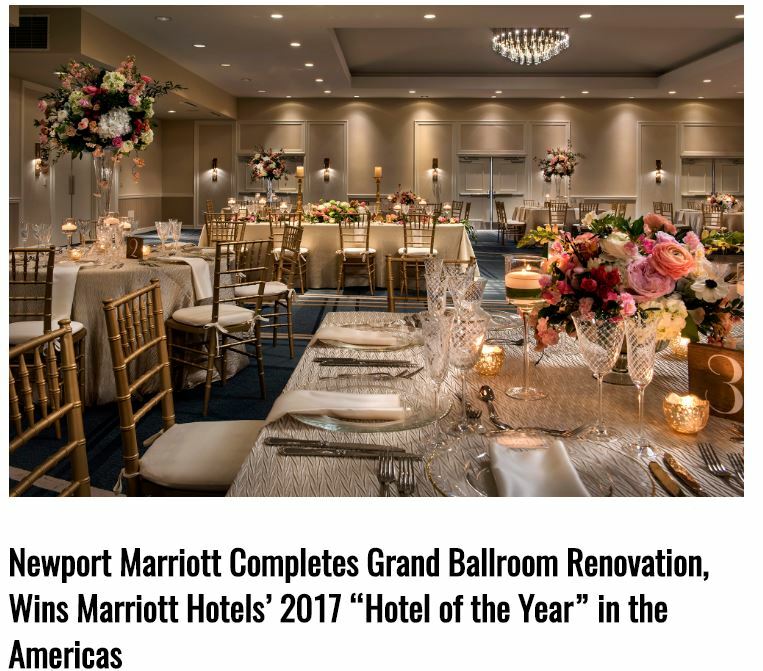 This month the Newport Marriott earned the “Hotel of the Year 2017” award, an accolade presented by Marriott. We are honored to have worked in this hotel, congratulations! Read the full scope here and come aboard and learn more about our work in The Newport Marriot here.